By: Corey S. Tilkens, Attorney at Hager, Dewick & Zuengler, S.C. In today’s economy, many companies conduct a substantial amount of sales over the Internet. However, it may surprise business owners that online sales can subject them to litigation in states in which they have never been physically present. The question of whether a company operating solely in one state can be sued in another state depends on whether a court can establish jurisdiction over that company. If jurisdiction can be established in the second state, then a court in the second state has legal authority to make a decision upon your company in a dispute. These jurisdictional issues can be complex if the case involves a transaction made over the Internet. The question each state faces is whether a sufficient relationship exists between the company and the state for the second state to have jurisdiction. Each state can vary in which standard they use to determine whether substantial contacts exist between a company and the state in question. There are basically three different standards which a state may apply when determining jurisdiction. While these standards do not provide bright line rules, they may provide some guidance which could be helpful for setting up your company’s online presence. The first two standards, a “loose purposeful availment” or a “strict purposeful availment” standard, analyze whether a company conducted an intentional act into or towards the state to take advantage of the benefits and privileges of the laws of that state. The third standard analyzes a company’s activities over the Internet and uses a sliding scale test of contacts with the state to determine jurisdiction. Purposeful Availment. Under a “loose purposeful availment” standard, courts of these states may find jurisdiction exists if the company merely maintains a website. The courts in these state reason that, by maintaining a website, the company has availed itself of the privilege of doing business in that state. Fortunately, very few states apply this low standard to establish jurisdiction. Under a “strict purposeful availment” standard, courts of these states generally exercise jurisdiction only where companies engage in activity specifically targeted at its state. In these cases, a court will look at the company’s subjective intent and try to determine whether the company specifically targeted customers in its state. This is the standard most courts in the Midwest apply, including those in Wisconsin, Illinois, Michigan, Minnesota, Indiana and Iowa. Sliding Scale Test. A majority of states outside of the Midwest use a “sliding scale test” to determine whether a company’s website provides the minimum contacts required for jurisdiction. Unlike the strict purposeful availment standard, courts using a sliding scale test focus more on a company’s objective actions. As the sliding scale test is applied by a majority of states outside the Midwest, it is important to understand this scale. If your company’s website is one that just makes information available, it would be low on the scale and jurisdiction may not be established. Conversely, if your website clearly conducts business with residents in the state, jurisdiction will likely be established. Unfortunately, most companies’ websites fall somewhere on the scale between an informational website and a website seeking to conduct business with residents of another state, as they are interactive and allow users in another state to exchange information with the company. This creates a gray area, and therefore courts have to examine and judge the level of interactivity and commercial nature of the exchange of information that occurs on the website in order to determine jurisdiction. Some factors courts consider in the sliding scale test include: website hits from state residents, email participants from the state and acceptance or processing of payments from residents of the state. If the factors the court examines have sufficiently high numbers, jurisdiction may likely be established. 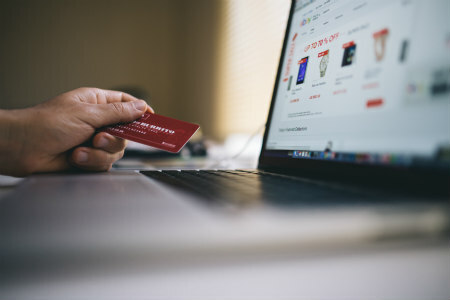 While the allure of online sales in the Amazon age is appealing to many small businesses, business owners must be cognizant of opening themselves up to defending lawsuits in far way states as a result of online sales. If your company is transacting a significant amount of business with residents from an outside state, it should signal to you that your company may be subjected to lawsuits in that state. One way a company may protect itself from being sued in another state is by establishing a website that only posts information about the company, without making active sales to potential customers. Alternatively, if online ordering is essential to the company’s profits, the company could take steps to attempt to limit jurisdiction through mandatory forum selection provisions. Mandatory forum selection provisions require a party to bring potential lawsuits in a designated state. These provisions may be easily incorporated into the terms and conditions of sale a consumer accepts in placing their order. In addition, a business owner may wish to consider limiting the states to which their products are shipped, to prevent foreign states from establishing jurisdiction. Ultimately, business owners will need to carefully weigh the potential costs and benefits of online advertising and e-commerce. The jurisdiction issues and concerns discussed above are essential factors which a company must take into consideration when conducting online transactions.